The Class of 2018 has spent years packing their career luggage with an assortment of technical skills for their chosen fields. But, top recruiters now say that soft skills can make a big difference between a great job offer and no job offer! Despite a robust job market with the lowest unemployment in 17 years and high starting salaries, U.S. employers plan to hire 1.3 percent fewer graduates from the Class of 2018 than they did from the Class of 2017. (This marks the first hiring projection decrease since the Class of 2010.) This also means that the competition for the open positions is very hot – and graduates need every possible advantage to land the best jobs and position themselves for a successful career. so, you need every possible advantage! A strong 94% of recruiting professionals say employees with soft skills have the most potential to be promoted. This makes it easy to see the value of soft skills training. Studies by the big consulting firms like Deloitte and Accenture also show that soft skill occupations are growing fast, and if companies wish to remain relevant in the marketplace, they must attract and keep people with stronger soft skills. Why? Because people with strong soft skills help organizations be more agile and customer-focused. This is why recruiters are pushing soft skills to the top of their wish lists as they work to help their clients stay competitive. The Deloitte study also points out that by 2030, soft skill intensive occupations will account for almost two-thirds of all jobs. Communication is a soft skill that consistently ranks near the top of talent recruiters’ wish list. In the perfect world, graduates would show up for their first jobs fully equipped with sound communication skills and strategies. But, in the real world, their colleges did not focus on soft skills as part of their curriculums. Most graduates come limping along into the workplace with communication skills they picked up or modeled from their childhood. The simple truth is that most of them have not modeled or studied the habits and strategies of highly effective communicators. The lucky ones will get up to speed over time if employers provide them with soft skills training, while others might find an online training source and begin expanding their communication skills repertoire. Just how important are communication skills to your career success? They determine key things such as your Credibility and Likability Factors. The Credibility Factor has to do with presenting clear, believable and compelling information. The Likability Factor has to do with how you deliver that information to connect at an emotional level to influence others. Your communication skills impact all sorts of things: how others perceive you, your leadership potential, your trustworthiness and much more. In short, your communication skills shape your professional brand and your future! Today, millennials admit that the majority of their communication habits have been greatly shaped by technology and social media, which ironically has made some of them “socially” awkward and lacking in communication skills. In one study, 39% of millennials admitted that they have spent years interacting with their phones more than actual people in their lives. As a result, millennials are working to get up to speed, and many employers are lamenting over the lack of effective communication skills and other soft skills among this group. The ability to adapt to change and be flexible is another highly-rated soft skill most valued by recruiters and corporate leaders. Worldwide megatrends consistently show that organizations must attract people who are flexible in order to remain agile and relevant, so they can quickly respond to changing customer expectations and market demands. A whopping 91% of HR directors now say a major recruitment goal is to identify job candidates who are equipped to deal with change. They greatly value employees who can juggle multiple assignments, make good judgements about prioritizing and adapt to changes as needed. who can are skilled at dealing with change. Accept that unexpected things will happen on a daily basis and be curious how you can approach those things to get the best results. Increase your self-awareness! It is the foundation for developing more flexibility. Once you recognize your comfort level for change in various contexts, you can build a better game plan for thinking about and practicing flexibility. Delay making snap judgments when you are presented with new ideas. Instead of instantly rejecting an idea, practice gathering information and staying open. You might be surprised at what you will learn in the process! When needs change at work, be open to helping others identify alternative solutions or plans. View obstacles and problems as “interesting” and ask yourself what options you have for working with them to better achieve your team’s goals. View new responsibilities as opportunities instead of looking at them as burdens. Become curious about the benefits of learning new things when you receive new requests to add skills or projects to your list of responsibilities. The foundation of good problem solving is solid “state management” skills, which simply means you can effectively manage your emotional state. Your overall emotional state determines if you help create a team atmosphere where others can think clearly and properly evaluate a situation to address problems. A contaminated emotional state or response can negatively impact a team’s work environment and erupt into a “blame game” or “CYA” situation when problems arise. Your emotional reaction sets off a chain reaction within your team, so if you fail to manage your emotions, you cannot create an environment for effective problem solving. Over time, this will also erode trust with your team members, and harm your professional brand. By responding calmly to problems, your teammates will trust you to help them move toward solutions. Timing is also paramount to effective problem solving. How quickly you are able to identify a problem and respond can mean the difference between success and failure for your team and organization. Some cultures encourage people to be open and honest about problems, so they have a better chance to make timely corrections. In other words, they don’t kill the messenger! Rewarding the messengers for providing quick feedback about problems is paramount. Deloitte surveyed leaders around the globe to find out what factors they believe will most impact their future growth. The survey found that 92% of them rate soft skills as a crucial priority tied to market growth. Another finding by three major universities also supports the importance of soft skills. The University of Michigan teamed up with Boston University and Harvard University to study how soft skills training impacts the bottom line. What they discovered is fascinating! They found that soft skills training programs – like problem solving and verbal and written communication – can deliver a 250% return on investment and boost productivity and retention by 12%! In short, soft skills affect everything from performance, to productivity and employee engagement. 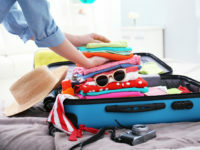 So, whether you are a graduate or a boomer, you should pack your bags with as many soft skills as possible! If your organization doesn’t offer soft skills training, you can also find many online sources to help you gain the edge you need to go after the better jobs and to improve your professional brand. It is an investment that can greatly impact your success in today’s marketplace. THANKS & HELLO! If you found this information helpful, please leave a comment and share it with others. Also, if you could be interested in receiving other tips to advance your skills and career, select the SUBSCRIBE button on the top, right hand side of this page. The Winning Ticket: Load Your Bases With Soft Skills!